I initially started this batch on a Saturday in February, so this goes back a a long way. 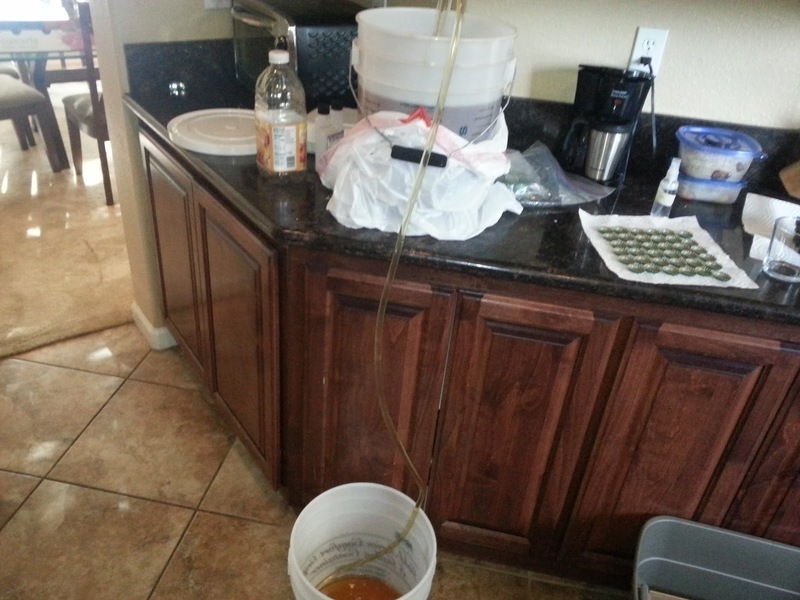 I was using Safale S-04, the yeast I'd been using for many of my smaller batches of beer. I knew this yeast was extremely efficient at getting beer fermented quickly, so I figured that would also apply to my cider. Popping the lid on Thursday revealed to me that my assumption was wrong. As I only pitched half a packet of yeast, my initial cell count was not high enough to complete the task in less than 3 days. 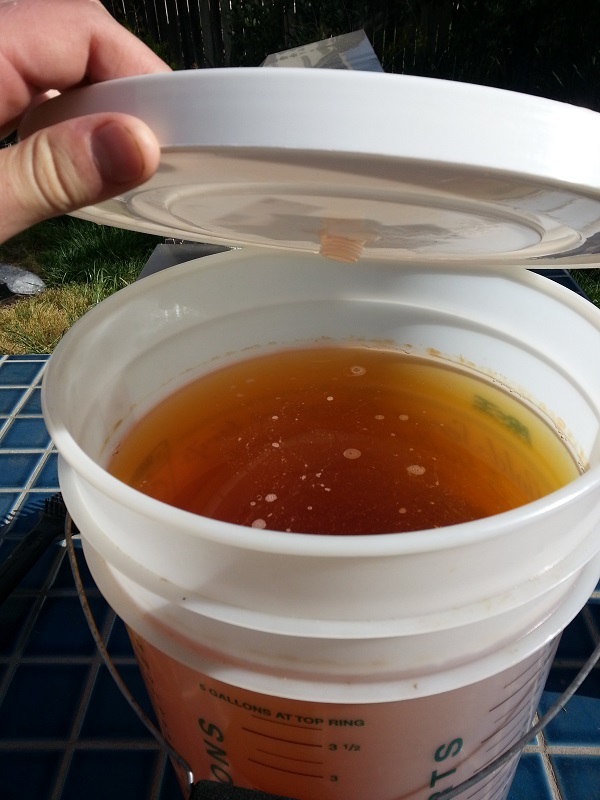 Additionally, there was a lot more sugar for the yeast to chew through, as my target ABV was up above 10% instead of less than 5% as some of my beer batches have been. So here's where some learning happened. The taste test of the sample was incredibly sweet and bubbly. 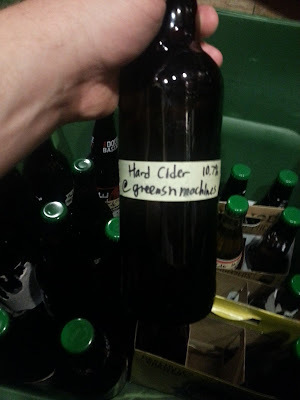 With the English ale yeast keeping more of the apple flavor behind, it was a surprisingly tasty drink for being only at 4% ABV. This makes me want to experiment more with some more advanced back-sweetening techniques. Such as using juice concentrate as a sweetener. Or arresting fermentation halfway through. A sweet tasting cider fermented using Safale S-04 would be a hit. The process would be similar to the way that White Zinfandel was originally created. The only real issue is that I would need to have a keg system to attempt this. If I arrest fermentation to leave behind sugar, I would not be able to naturally bottle condition if the yeast is dead. If I attempted to back sweeten with the yeast still alive, the bottles would dry out and become overcarbonated, which would result in a lot of closet explosions. 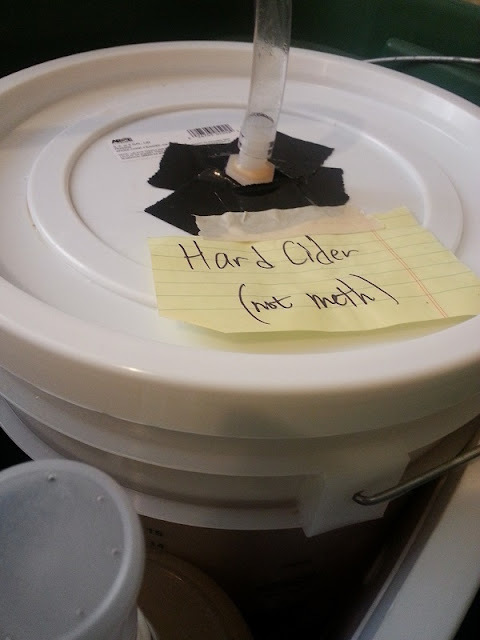 The yeast was finally able to dry out the cider some 4 weeks or so later. The flavor is still smooth tasting even when dry and at such a high ABV %. When this beverage is carbonated and served chilled, it will be bound to leave some people passed out in the living room. Cheers!